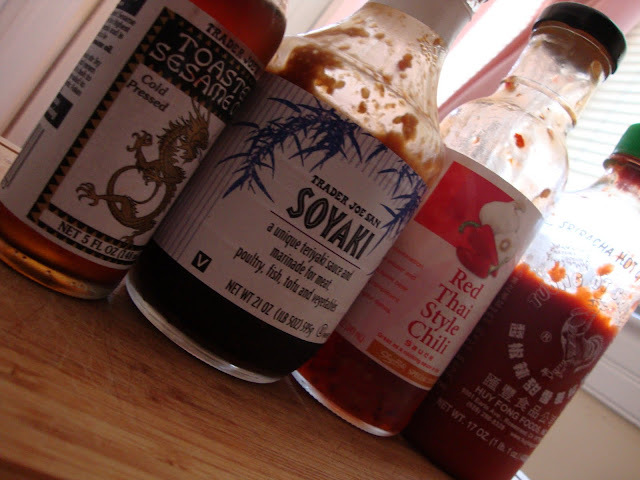 I use a combination of Trader Joe's Soyaki, sweet chili sauce, a little srirachi, and a touch of sesame oil. Sorry I don't have measurements. I just combine them to my taste. I add some lightly salted cashews for crunch. 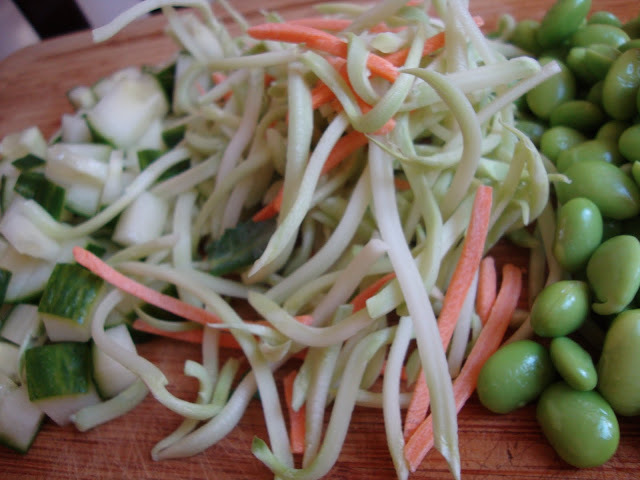 I top them off with some chopped cucumber, broccoli slaw,edamame, and sesame seeds. Here's a recipe that may give you similar results. Well, your post is making me pretty hungry, too! Looks great! Erica, this looks to die for! 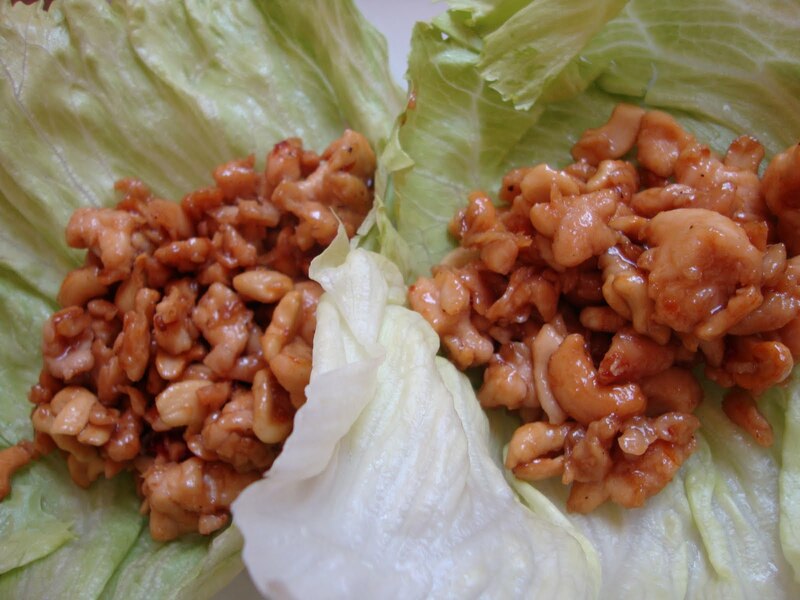 I love cashew chicken, but have never thought about making it at home. Thanks for the recipe! 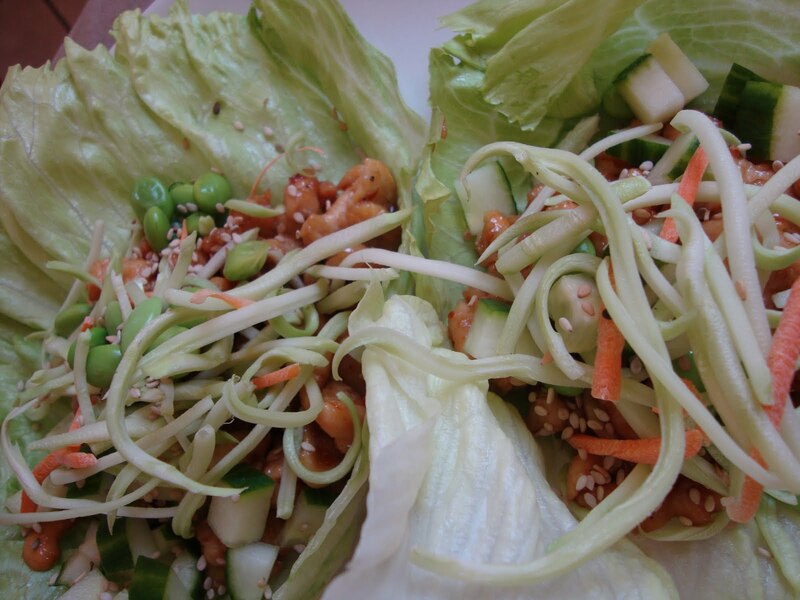 ahh lettuce wraps are my total weakness!